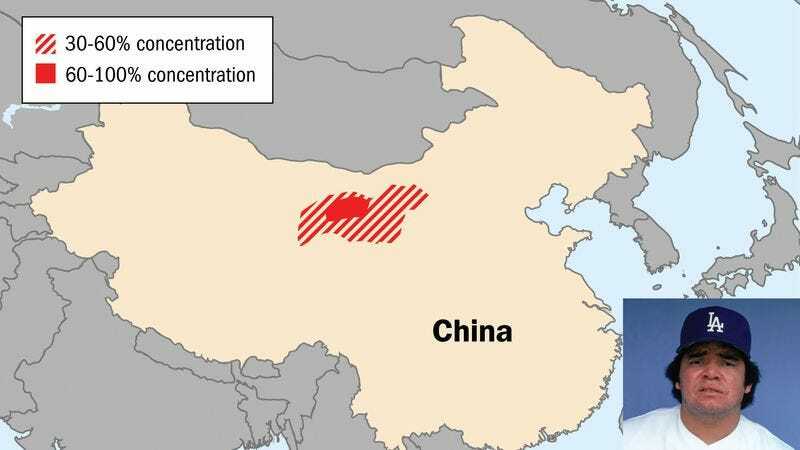 SICHUAN PROVINCE, CHINA—According to reports from world health officials, farmers across a rural district of China are contracting what is believed to be a particularly deadly form of Fernandomania, the baseball-watching scourge previously thought to have been eradicated in the mid- 1980s. "We don’t want to say this will be a pandemic, but if we don’t get help to this region soon, the whole world might soon be wearing tight-fitting blue-scripted uniform tops," said World Health Organization director-general Margaret Chan, cautioning that the disease is still localized and has not yet caused people going to Dodger games to arrive on time or stay until the final out. "We especially advise Latinos, people amused by the jolly antics of fat athletes, and those easily awed by a wicked screwball to take special precautions to avoid contracting this. Considering Fernando Valenzuela hasn’t pitched in the majors in 15 years, this strain must be extremely hardy." It is unclear if the mutation could once again make the disease a threat to the people of Los Angeles, who were devastated by a catastrophic outbreak of Fernandomania in the 1980s and until recently believed Dodger Fever had been totally eradicated.